If there was one band that I could see from the past it would be Van Halen. I’m rocking out to Jump, sitting in bed against the tail gate of my van somewhere in the junipers above Moab. Nobody around. Solitude until the Sunday morning shuttles start passing on their way to Porcupine. Some sources say it’s the world’s most popular mountain biking trail. Funny, I grew up riding it when you might go a whole day without seeing anyone. I guess we’ll see tomorrow; I haven’t ridden it in years. I remember the epic views and rough descents. Falling off of boulders and down chutes and ledges. Breaking my face. My derailleur. My chain. Who knows what else. Realistically, there is probably a 50% chance I suffer a catastrophic failure tomorrow and have to walk a LONG way – 15 miles of trail plus several more to town, where the shuttle will take me 30 minutes back up to my van. Again, we’ll see. I totaled a wheel last Wednesday and was reminded how many of my Moab rides have been reduced to beautiful hikes after I rode a little too hard. Such is life. This is epic. Epic trance blasting now. Amazing how good this stock sound system is. I broke my wheel on Minesweeper, itself an epic ride. Departing from Amassaback, we left the designated trails on faint double track that descended to a wash and disappeared. Then we rode the wash as far as we could before shouldering our bikes and climbing onto a ledge. We rode and portaged on and off for 20 minutes before riding into a dry, open park on a remote mesa above Hurrah Pass and the Potash plant. The climb out of the park was short and had astounding views of the vast desert south and west of Moab. From the mesa top the “trail” descends a disused mining track for a mile or two back to Kane Creek. It’s a rough and dangerous ride on an unimproved trail – the tread is essentially just what remains of the road, which after decades of erosion isn’t much. A handful of local riders that know about this unpermitted trail have ridden it enough to smooth it a little. Well I broke my rim in the first half mile of the descent, so when I finally found my local friend on the walk down, I decided to provide my own danger – by checking out an extensive mineshaft. So extensive was it that I came out the other side of the mesa underneath where I had broken my wheel more than half a mile away! I exited the mineshaft with an odd sinus headache that faded half an hour later, so I will try to bring back air monitoring equipment when I come back to ride through the shaft in May. Yes, ride through it, from one side to the other – it is that big. Riding is how my trip started, but that isn’t all I’ve been doing with my shower-less vacation. I also descended several canyons – Medieval Chamber with Jenna, Full Granary and Elephant Butte with Luke and Kiernan, Krill and Lomation with Todd, and I investigated and jumped into the slothole pool at the bottom of Sunseed. Plus, I hiked to the Moab Mastodon and Corona Arch. I camped at Willow Springs, Ledge, Long Canyon and Sand Flats. I met JB who fixed my bike and Amber and her dachshund Jasper, who are both great cuddlers. I met Todd and Marcel from Calgary, and Cory who works with Amber. I even met an old miner who I always see sitting in front of Dave’s Corner Market. My hair is dready and I haven’t showered since Thursday a week ago – that’s 9 days ago. I played a lot of Frisbee with Amber and Chris and Jenna and Luke and Kiernan, and played my music everywhere I went. One person asked me to turn it down and I felt nice and did. The night before I didn’t feel so nice – the people where camping on healthy vegetation and killing it – so I told them to “beat it.” I ate meat 4 times and ice cream 4 as well, and I had at least a little bit of coffee or tea every day. I even did a little “work” by checking emails and doing transcription for Spanish. That immediately put me back into a work mindset and made it hard to sleep. Todd understood this well when I shared it with him. The minds of engineers. I taught a lot of canyoneering skills because neither Todd, Jenna, Luke nor Kiernan are very experienced. It’s never been my intention to teach this stuff, but that’s how it’s gone. As the sport gains popularity and I grow my skills, the gap in skills between me and the canyoneers I meet grows. I don’t think I like teaching, but Cory is a teacher and the 8 weeks off in the summer sure sounds nice. Charter schools don’t require credentials either. But I’m tryna make an engineer’s salary, not a teacher’s. For now. But how will I deal with having the time to do what I love? I need a flexible job. I love to bike. This trip I biked Slick Rock, Ahab, Hunter Canyon Rim and Pritchett, Cliff Hanger and Minesweeper, Sovereign, Rambler and the Slick Rock practice loop. Did you know that the old uranium mill site on the north end of Moab has 136 acres of radioactive waste, 85 feet deep? And that it’s been leaching into the Colorado River for decades? By the 2030’s the federal government plans to have trucked it all up to Crescent Junction and reburied it. Not sure why that’s a better place. 38 wells are used to exchange and dilute the contaminated ground water at the site because the waste is buried below the water table. The previous owner, Atlas, declared bankruptcy in 1998 and left the feds with the cleanup. Yikes. It’s been a good last spring break. It’s coming down to the wire: the days are short, the temps are low, the fork oil is more viscous than usual and falls hurt more. Not to mention grad school apps are due. Mine would be done already if it weren’t for that pesky personal statement. At least my biking and yoga are on point; I’ve been doing them every day. The trails have been dry for the last three weeks, and the wet spell we had before that was short-lived. It just hasn’t been a very snowy winter. I say that matter-of-factly, but inside I’m jumping for joy; I’ve broken more vertebrae snowboarding than biking – more bones in general come to think of it – and right now I’ve got a nicer bike than snowboard. I just have more fun biking. It doesn’t hurt that after having to sell my precious Stump Jumper in 2013 I hadn’t had a “real” mountain bike until I bought the Trance Advanced last fall. And real it is. I recently put a 2.6 in the front and a 2.4 in the rear, both with double-wall casings. I got a full face helmet, and I started riding most days, even if it was short. I roped in friends here and there, and kept doing yoga. And today, 2 days past the solstice when the air was mild and the sun was warm, was a culmination of that consistency. I hit the trail with my after burner on and was warm almost immediately. I slowed to a crawl with calculated precision. I rolled the flats and positioned my body forward on the rocky climbs, should I need to lurch the bike forward for extra traction. The first slippery section fell away without fanfare, but that’s happened a dozen times this month. The second appeared around the next bend and I slowed to calm my breath as long as I could. This slippery climb too has fallen away remarkably on many a ride, but only once during the same ride as the first. Even then, a later, easier climb bested me, steeling my chance at a clean ascent of the entire Link. As I used the force of my legs to generate the right level of torque to float the front wheel up the first bouldery ledge, I noticed a difference: a boulder was missing. And at once I realized what had happened last week when I had to stitch my leg up after falling backwards here: that boulder that rolled over me as I lay on the hillside below had been a part of the trail construction! I pulled my attention back just in time for the awkward section: a V-shaped gap between some of the on-end boulders that formed the floor here, which must be negotiated while rounding a corner and transitioning back onto dirt tread. The rear tire slipped ever so slightly, but with so much on the line my efforts immediately redoubled and brought the bike the rest of the way past the gap and up onto the dirt with ease. Lungs burning, I rode on, slowly. I noticed another rider up ahead, a rarity. I almost caught him as he walked a rocky section, but surprisingly he remounted and sped off. I slowed and relaxed to bide my energy, so I didn’t see him climb the third most difficult obstacle on Betasso Link: a ledge formed by a root that has become polished and slick from years of rear tires spinning out and sliding sideways on it. As is my custom, a lifted the front wheel over the higher side as I pivoted ever so slightly on the rear, so as to end up with my rear tire squarely in the nook of the root. My line as I climbed through the ensuing boulders was a little different than usual, and if I had a close call today that was it, taking an untested line, but I came through strong and regained the other rider. I watched him as he climbed the section that had bested me only once before but had taken my shot at cleaning the ascent in one go. It was an awkward slab of rock that pushes you into a tree, and he salvaged his bid by steering with one hand while pushing off the tree with the other – an impressive feet of dexterity, if a clumsy show of his mountain biking ability. I couldn’t blame him, after a long climb we would be leveling out shortly, but it as normal to be dog-tired and winded at this point. I passed him as he stepped off to the inside of the trail on the last switchback. If he said anything I couldn’t hear it, my earbuds were sealing out that part of the outside world. I stopped to take some photos in the sun, which I immediately sent to Instagram. It was a day worth bragging about. Plus, I needed to feel a little better about procrastinating on my grad school applications. I decided I’d stretch things out a little and do the first loop. A quarter mile in I knew I’d made the right decision. A mile in I was thanking myself for that decision. By two I was in tears. I finished out the loop and found myself alone in the dry grass on a sunny hillock. I thought about my sisters, and sent a picture of myself ther on the hill to the one I still could. I played a little, warrior poses and handstands and cartwheels. The 20 minutes that carried me to the base of the Link from here left me august at every corner. I wondered what had happened to that dead feeling in the fork. Had it left, or had I ceased to care? It was yoga, on a bike. The front wheel now only seemed to touch the ground exactly when it was needed, the back wheel so light that traction could always be broken. The combination of the two, short enough to fit in the perfect position between each obstacle. The bike felt playful, the possibilities quite innumerable, and the consequences understood if not minimal. Amazing. The lower, flowy section, I had never ridden so fast. The sketchy portions, I had not previously found a line so comfortable. It had taken falling of that cliff, getting a little timid, and keeping consequences close to my consciousness to take things to the next level. Rather than stoppies like I usually rode back at the pullout, I rode wheelies. I had discovered a new measure of my ride. Hannah and I broke up, and I am in pain. That is true. I didn’t see the parallel when it happened, but I see it now: she was here, sitting in the chair that is to my left now. I was a bit distracted as we talked, since I was doing yoga on that rubbery green mat that I can’t see but I know is behind me on the floor at this moment. A thought popped into my head, I don’t remember what it was nor is it important. “Lisa!” I exclaimed. Before the word was finished we were both bewildered. Why had I said it like that, we both wondered at each other in a glance. I had said it with the exact inflection with which I would call Hannah by her name to get her attention when I had something somewhat, though not too, important to tell her. We went about our night and, like I said, I had no idea why I had used Lisa’s name instead of Hannah’s after all these years. But now I know. After a blanket of pain settled upon me yesterday, now I see the parallels. Because this is a pain I last experienced so many years ago – it’s been seven now – after Lisa left my life. The manner, and the attached pain, are disgustingly similar. The feeling of not being wanted, that is my pain. That she would rather spend her time with people who are not me, that is what hurts. That I have been here alone, longing for company, consoled only by whatever sad distractions I can find. And she, out there, connecting, exploring and having not only choice but support and distraction outside of herself. That is what hurts. There. I’ve gone too deep into it already. Now it is a fresh wound again because although I forget easily, it has been ripped upon anew. A subtle but familiar twinge of anger flashes through me as the deep red blood of despair trickles down. The entry is overdue because this breakup has long been impending. I new it in my heart, if not in my head. Hindsight shows me that my actions over the past year are far more congruent with a man making an alternate plan than a man courting a lady. She’d have been a great one to court, and outwardly I was doing just that, but never wholeheartedly. So why wasn’t it right? Hannah was wary, if only the slightest bit. But she never forgot about that sliver of doubt. She just watched it patiently. And after two years, she decided she’d seen enough. It didn’t get worse, that doubt didn’t lead her to any great discovery about why I wouldn’t be right for her, but it didn’t get any better. I watched this. I watched how she held back. It showed with Hannah because her natural energy output is already pretty low, and when she holds back it is glaring. For months I drove to visit her after she moved here. Before that, I would fly to see her. I even drove across the country to take a 2 month road trip with her. She gave back, it certainly wasn’t all me, but she would get to a point and she would decide to stop. Where I would fly to visit her once a month, for her it was six weeks. Where I would take off work spend time with her, she would not. She will tell you that I had the better means to do this. I will tell you that that is communism. The fact is, it was a cycle. When I saw her holding back, I envisioned an endless race, the two of us always running parallel but never together. This was not what I want. I am keenly aware of this now. I am, I suppose, looking for commitment. I’m probably doing too much, and this post is more for me to look at that than it is to share it with you. Ultimately, I’m curious about what’s driving me: is it the will to achieve, or is to insulate myself from closeness? I’m always seeing something new I want to do. Today, it was a 9 week improv course. Yesterday, it was a visit to the Virginia Tech grad school. The day before I was applying to read Spanish to the visually impaired. Today I had to leave class early to go to the doctor before the yoga class that I teach, and immediately after I made dinner and drove down to Red Rocks for a concert. Everything fits together, tightly, and it works. My life functions. Part of me gets a kick out of the complication of it. But just managing it all is half my day. Tomorrow I’ll go straight from class to work, but I have to leave early to go to a funding hearing for the club I run. Then I’ll go back to get in my hours, and then I’ll go home and make dinner and head down to Red Rocks again – because one night of Nine Inch Nails means I might miss my favorite songs, and above all I’m afraid of missing out. But that’s the thing: I’m missing out because I don’t have the time to draw things out and appreciate them. At the concert I was studying for my Spanish midterm while I rested my feet, and composing an email to an equipment vendor in my head while I danced. That’s a “sober” day for me, just think what it’s like in my head when I drink coffee. The next day is Thursday, and I’ll study during my morning classes for the midterm I have in Spanish that afternoon. Again I’ll go straight to work, a little late because of the timing of the exam, and again I’ll leave early – because the club’s trip funding comes from a different board than its operational funding. If I ever get a chance, I need to schedule physical therapy. The referrals, for both my hand and my ankle, are in my glove box. Combined with seeing my therapist, that’s three hours a week that I’m not sure exists. Wouldn’t I rather do weekly swing dancing lessons? I was looking at flights to Cozumel. Wouldn’t that be neat? I’ll leave two days after finals and spend three weeks practicing my Spanish and diving and exploring pyramids and cenotes. Only thing is, I’ll miss a week of the high school science project that I start teaching next month. 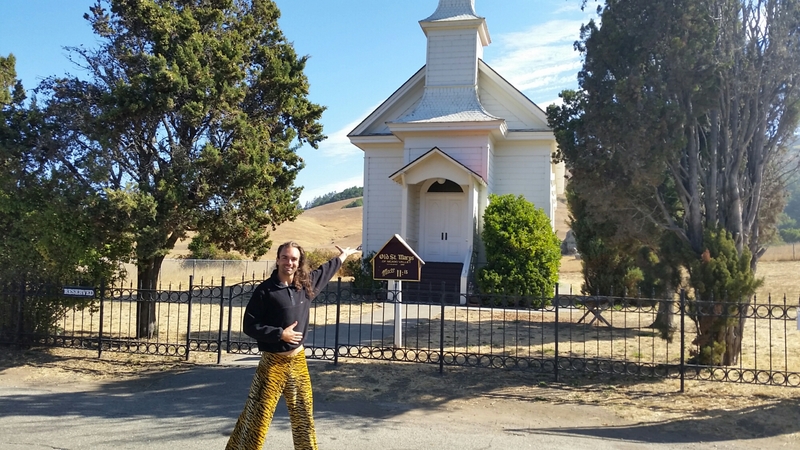 It’s odd, skipping Burning Man feels like it made all of this worse. Burning Man has, for nine years, been a way to justify the need to cram so much in, because those two key weeks at the beginning of school had instead been dedicated to prepping and attending the festival. But this time round, there’s no justification, I feel the same as always, like I’ve got to cram cram cram, but along with it I feel unjustified. I feel confused: why, if I had two more weeks than ever before, do I feel like I have less time than ever? And so I’m drawn back to two Burning Man’s ago. The time – the ONE time – that I left that two weeks open. I just said, “You know, something good always comes up after Burning Man, so why make commitments that will force that two weeks to a close?” And I didn’t make any commitments. It was a breakthrough for me. And that’s how Hannah ended up here. She’s amazing, she really is. And if we go our separate ways I will know why. It comes down to time. And maybe that’s why this whole thing matters. Because if I lose her, I want it to mean something. I want to know that I understand the decisions that led up to it. Because it might be too late to change my commitments now. We stopped talking two days ago, and the plan is six more. It only took one day for my first realization to happen though: with Hannah gone, I still didn’t have enough time. I didn’t have any real me time: it was always stolen from the time I’d earmarked for “more important” matters. So I’d lay down at night and watch a video when I was behind on homework. Then I’d sleep through my alarm and miss class, or call in sick to my design team meeting. So it wasn’t that Hannah was keeping me from taking care of myself, I had organized my life so as to preclude it. In fact, I had whittled away at the time she and I spent together until it too had to be taken from the already earmarked time. Resentment set in. Fear, I’d say. Fear of getting too close. Fear of commitment. Well if that isn’t cliche. But I don’t mean commitment to her. I mean commitment to myself. Fear of sticking to a choice until it fully plays out, keeping myself transient and free, that I might always be able to jump on that golden opportunity that surely, someday, comes along. Or was it? Maybe I just want to be like Elon Musk, CEO of two companies and still working on myriad project elsewhere. I do, but then Elon also has a family. I woke up to my best friend rustling in the kitchen. He woke me up because that is where I am sleeping for two days. There’s a bed and a wood burning stove there. His girlfriend got up too, and we said our hellos and they gave me instructions for the laundry and the stove. Then they left together for work. I called my girl – Hannah is her name, though Baby Doll is the moniker I use if I’m pretending we’re bandits (and of course I need one too: I’m Cowboy to her) – and we video-chatted for an all too brief four minutes and twenty-three seconds before she had to go into work. So often we have all the time in the world and we talk for hours at a time. We even Skyped for nine hours and had a “sleep over” as she so youthfully named it. I love Hannah, she fills me with so much warmth and happiness that I can hardly see straight when she does, and that’s an amazing feeling. I hung up with Hannah and got a homemade kombucha out of the fridge. I bottled it yesterday. Unfiltered, there is a lot of scoby in these four bottles. My other the gallons weren’t ready, but, if last summer was any indicator, I will have a nearly endless supply of kombucha to share before too long. This will be my gift for Burning Man. I got back into bed. I ate a big piece of Lilly’s chocolate. That’s the brand that is sweetened with stevia and erythritol so that it has less sugar. I really like it, and I bought three bars last night, knowing that that might be a setup to over indulge. I took a sip of my kombucha and slipped another square of 70% Extra Dark chocolate into my mouth, and I realized that I have a life worth writing about. As always, my journal entries have been scant this winter, although come to think of it we’re only about a month in. I started to write. I noticed the crackle of the fire and the occasional creek of the warped cast iron wood stove. Allan says the choke doesn’t close all the way because the stove has been overheated too many times. So I’ll need to “stuff it” and then close the choke completely before I leave to help keep Jake, his parrot, warm. Next, I think of all the wood I’ve chopped in the three weeks I’ve been at my new job. Big rounds to heat giant cabins and tiny sticks for kindling on sub-zero mornings. I think about how I need to be more careful; Danny Davis, a famous snowboarder, was hampered at X Games last night by a hand injury: he had accidentally hit his hand while chopping wood with an ax. This, according to a short montage that they showed entitled “The Road to X Games” before his halfpipe run. I was there. I stood on the deck (i.e. the top of the halfpipe) from 45 minutes before the event started until 15 minutes after it was over – talking with my new friends, college guys who love to ride steeps at Crested Butte, and waiting just in case Shaun White wants to come skittering down along the edges, throwing spray in his steezed-out halfpipe slide like he did when I first visited X Games Aspen five years ago. And I notice the theobromine coursing through me. Kombucha and chocolate are both rich in this stimulant and its character is unmistakable. I realize that it’s time to go snowboarding and do homework and go to the hot springs – and probably go back to X Games for day two to see a new event: Snowbike Cross. So I finish my chocolate bar with no dilution as to its healthfullness in my empty stomach, and whip open the end-of-chapter quiz for the first chapter of Linear Algebra, which happens to be a chapter I have yet to read. 85% is almost good enough, but an extra 15 minutes nets me an additional 5%, and then I move on to answering the discussion about why each of us is here. “It’s required for my major,” many students replied. Others chimed in with “Its useful for _____” – take your pick of programming, CompSci or myriad engineering majors. Truly, though, it was to me a question of existence, and my well-explicated reply seemed terse for this weightiest question of all: “Hunter Thompson said to discover the lifestyle you want first, then make your career to fit. To this end, I left the University of Colorado to find myself…” I begun. This response was a lie, however, or at least a half truth: Finding myself was a byproduct of something I did first. Something I did out of utter necessity: First I lost every trace of who I was except eight fingerprints. Near Bryce I picked up the Thunder Mountain trail and enjoyed ripping through hoodoos just outside the park. But I must have read the description wrong because the ride back to my car was as long as the trail itself and by the time I got back I had covered 20 miles in two hours, which left me with just enough time to get Capitol Reef National Park as the orchards closed. I had no reception to map it in order to know for sure, but it was about 2.5 hours and I had to try to make it. The views along the way were astounding and I had to stop to take pictures and video (ok, if you’re one of my instagram followers you probably realized I’m not stopped while I’m shooting video. Just don’t tell my mom.) I made the 2.5 hour drive in two hours flat and got directions to the orchards from the girl at the visitor’s center information desk. There wasn’t a pear in sight but I picked as many ripe apples as I thought I’d be able to eat. It was so peaceful that I did some yoga and went over and talked to some old folks sketching the cottonwoods against a towering orange butte aflame in the day’s last sun. The campground is beautiful and I’d love to stay there. I probably would have, had there been any spaces available; it seems to always be full. The cottonwoods there will probably be changing in the next couple of weeks… Anyway, I continued east under cloudy skies and soon found myself here, on the north end of Moab, poised to kick off the final weekend of my five week adventure two days early with some uber-technical mountain biking! Experience Bioluminescence but I’d let it slide down the list and out of my thoughts long ago. Like most people, I knew what bioluminescence was – some mercurial variety of plankton that, if you’re lucky enough to find you can stir up to reveal an ethereal and viridescent glow – but I hadn’t the faintest idea of how or where to experience it. Guided by tips from her local acquaintances (I’m from Colorado, she’s from New York,) we parked and put in at Miller, a county park with a boat ramp and $5 overnight parking. 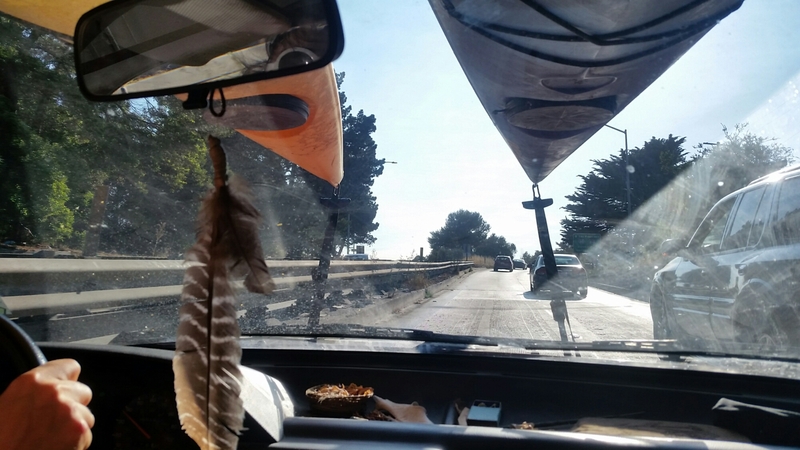 A kayak loaded for an overnight trip weighs at least 40 pounds, so a boat ramp is welcome if not entirely necessary. Permits are typically obtained a fair distance away at Bear Valley but we had arrived too late and resigned ourselves to guerilla camping – a euphemism that outdoorsman use to refer to camping stealthily, and usually illegally, which was us despite our good intentions. 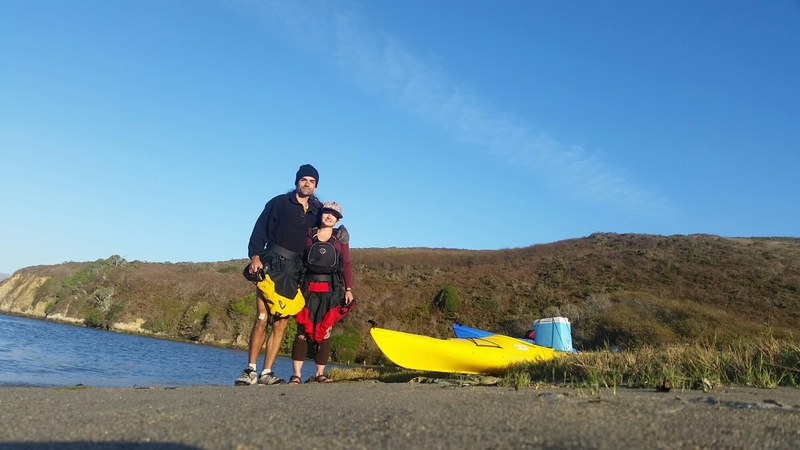 Regarding red tape, permits are required for camping on Tomales Bay, and we were keenly aware we had been remiss. But not a soul entered our purview in the time we camped on the far shore. It was a Monday-Wednesday trip, though I am told that fall and October in particular is prime viewing season. So for two days we camped and paddled the serene waters, all but silent and all but alone. Day paddlers and the occasional fishing boat would come and go, and the roar of the open sea crashing against the shores of Point Reyes on the far side of the peninsula that creates our luminous sanctuary was omnipresent, but the signs of other life consisted mostly of the squawks of sea birds (also omnipresent) and the rare bark of a seal. Bioluminescence turned up in spades. It was everywhere, every night. It would stream from the bows of our boats in the moonless darkness and sparkle on our fingertips. Kudos to Hannah for the desire to touch it, a simple but strikingly beautiful experience that might have otherwise escaped me. Fish darted beneath our boats, trailing gossamer trains that lingered in proportion to their girth. Hannah hoped for a wiley seal to pass by us in the aqueous darkness below and leave a sparkling wormhole, while I silently imagined the rush of seeing the pointy-finned silhouette of the sea’s most notorious predator against a cloud of noxious green. After moonrise “bio” as the locals call it was to be found less strikingly, now appearing as what at first glance just looks like bubbles in the wake of our paddles. We crossed the bay at the epitome of a casual pace. We set up camp on a deserted shore, upon a bed of matted vegetation scarcely above the high water line. Indeed, it took a bit of looking just to find that. Awaking in late morning, we frolicked but did not venture far, and then we dozed off for the afternoon. 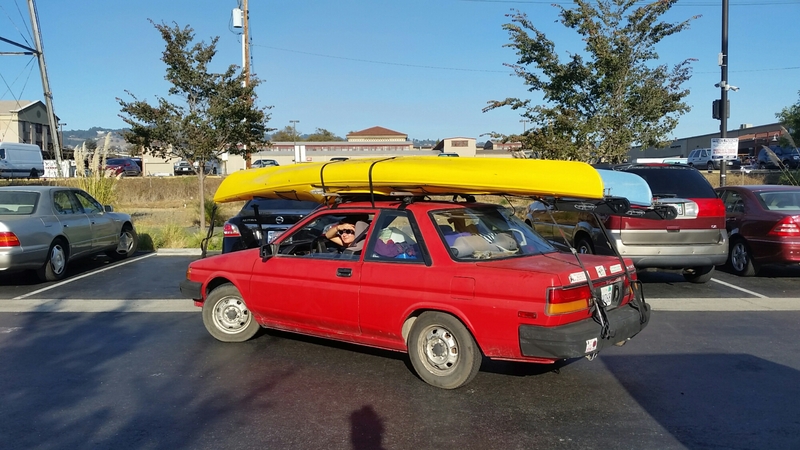 We ebbed back to Tomales Bay just as it was, bucolic and devoid of any obvious enterprise or ambition, a current that powerfully overcame the drive we’d once had. We dressed warmly for the paddle back, and rightly so – a damp wind pummeled our city-soft skin while the outgoing tide sapped our speed with unsettling facility. We found lubberland just as crupuscular rays spread into the saturated blue beyond and we sat down to eat in the warm sanctuary of Nicks Cove restaurant. We shmoozed and noshed on chowder and oysters and bread, and then slipped back into inky darkness and onto the water to chase streaking stars and sparkling plankton once again. 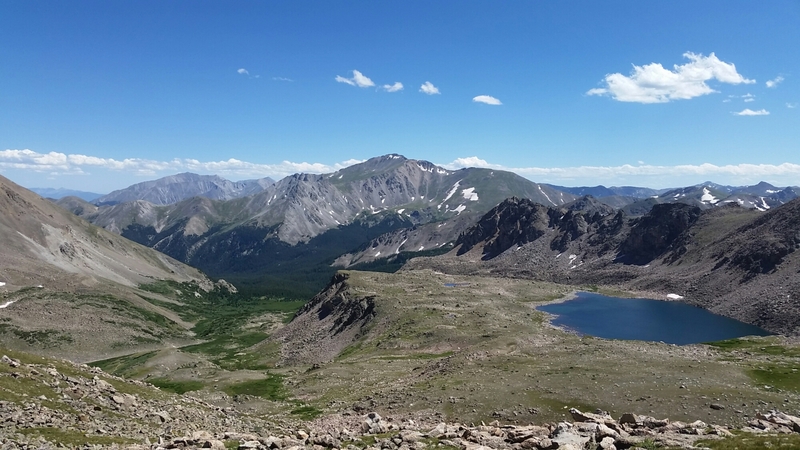 A fabulous, moderate and less crowded way for Denverites to spend a weekend bagging 2 of Colorado’s 50-some 14ers. Day 1: Leisurely drive to the North Cottonwood Canyon trailhead outside of Buena Vista, about 2.5 hrs. It’s at the end of county road 365. From there hike about 4 miles up Horn Fork Creek on a good trail, passing a left fork to a small lake at mile 1. Camp near the next intersection in the trail, an unsigned junction of the trails that lead to Harvard (straight) and Columbia (right.) Water is readily available as of July 11. Day 2: You can summit either peak from the junction, but if you’re doing both it’s much easier to do a counterclockwise loop. That way you ascend the loose scree slopes of Columbia, descend to the peak to peak traverse with the valley you need to cross almost in full view, and finally descend back to camp on the well built trail and steps of Harvard. From here camp again, or descend an hour back to your car. If you’re camping two nights it might be nice to bring a fishing pole and camp a little closer to Harvard at Bear Lake, which is purported to have good cutthroat fishing. Packing List: hat, gloves, insulating layer and rain jacket – we were cold! Plus your usual backpacking and peak bagging gear. Happy Trails! Days that burn forever, stretching, stretching and then – CRUNCH! The recompression sets in gently but the feeling is immediate and unmistakable. Time for everything turns to everything into such limited time. And me sent familiarly whirling into the universe. It’s a friendly sort of discomfort. I climbed a mountain to get away from it, though the escape was never the physical distance nor the isolation – it was the exertion. A heartbeat that is slowly forced higher and higher, thumping in your chest, pounding in your throat, then eventually slamming in your ears till all other sounds dies away and the world in every direction is just a sunset limned in ethereal glow. To this end I chose one of the highest in all the Rockies, Blanca, and never mind that it was easily accessed from where I happened to already be camping. The 2 hour drive to get there was too short and when I arrived I still didn’t have a plan. I set out in the afternoon, knowing full well a lengthy climb lay ahead. Almost immediately it clouded over and hailed. No coat. I hiked on. Up and up for 4 hours I climbed. The sun returned as I walked above the trees on a great trail if only all of the tumbled-down rock in it could be hoed away. Alpine marshes, then snow. Steep snow, deep snow. Hand over hand up the slide path of a slushy spring coulier. Finally, rock. Some of it loose, some of it stable. Some of it sparkled with green lichen I’m not sure I saw. But miles of colossal rock. 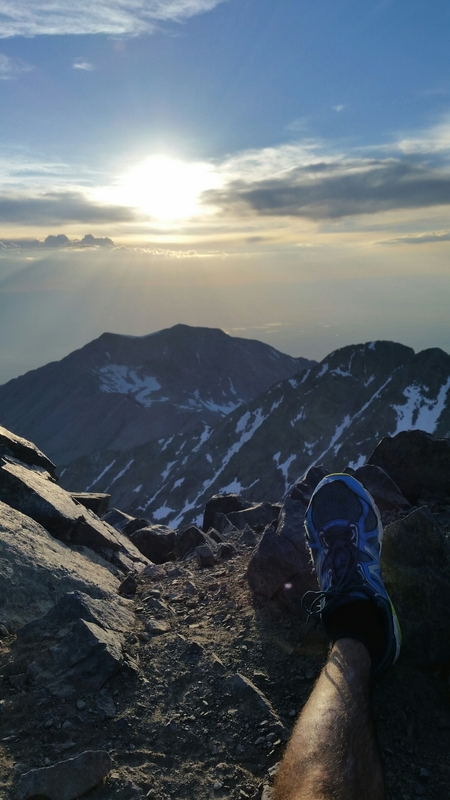 All to summit the 14,000′ leviathan that wasn’t even my goal – it just happened to be in my path. Up and over and a cliffy descent in the hard shadows of a horizontal sun at dusk. Smokey skies and a fiery sunset is what I found when I climbed – quite literally, exposed, class 5 and unroped – the final granite ledges to Blanca’s 14,344 foot summit. And presently I turned right back around. Sitting somewhere in the 90s in the valley below, the temperature had plummeted into the 50s, and I only in shorts and a hoody. But the real problem was darkness. In the fading twilight I put as many boulders as I could behind me. The next 7 hours found me glissading 1200′ by headlamp, boulder hopping, sloshing and walking, always walking, to relinquish the 5,000+ feet and 7 miles I had so excitedly acquired in my lust for exertion. I whimpered silently with a new understanding of what is so great about a bed. I staved exhaustion with micronaps in the trail, not bothering to even remove pack or wet clothes. In these moments the painful ache in my knees abated, only to return in the first few steps of resumed descent. 5,000 feet is a long way down. By 2 a.m. sleeping by the road was hardly unappealing, shoot, in an outsized rollerskate would have been an option if it hadn’t been for the flees swarming in. The next day I hiked to a waterfall and took pictures but as I began my return I doubled back – a swim was much deserved – and now the minerals feel so good on my skin that I still have not showered 3 days later. 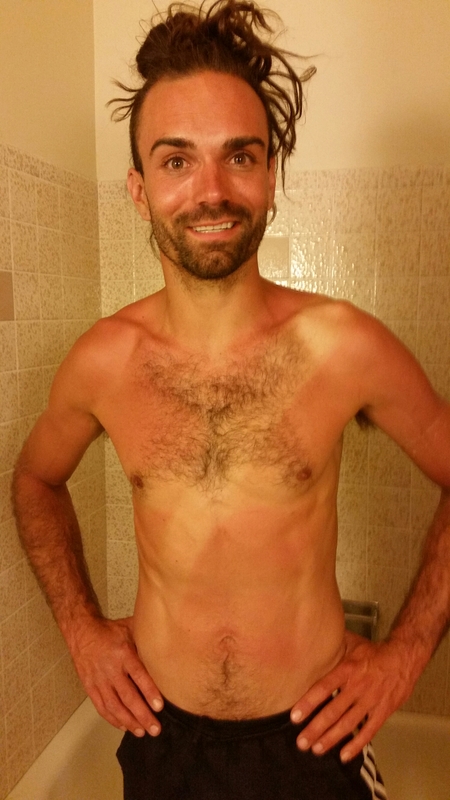 Maybe the oils are helping my sunburn.